New! Canal Trail around Daisy Nook. View and listen with your phone as you walk around, or from the comfort of your home. 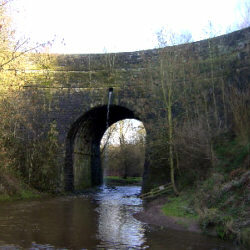 The Hollinwood Branch of the Ashton Canal ran from Fairfield in Droylsden, through Littlemoss and Daisy Nook Country Park to Hollinwood and Butler Green, with a branch from Daisy Nook to Fairbottom. The canal's location lies between Manchester, Ashton under Lyne and Oldham in the north west of England. The canal included four aqueducts and eight locks, including a two-rise lock staircase. The society aims to see the preservation and restoration of the canals within Daisy Nook Country Park and the re-connection of Daisy Nook with the Ashton Canal, with the long-term ambition of a new link through to the Rochdale Canal. The society aims to promote the use of the Droylsden and Hollinwood Canal route for everyone to enjoy. The Hollinwood Canal Society is a Registered Charity (no.1104942) and a company (no.5056634) limited by guarantee. Visit our Facebook Page and click "Like" to receive news and updates on you Facebook wall.